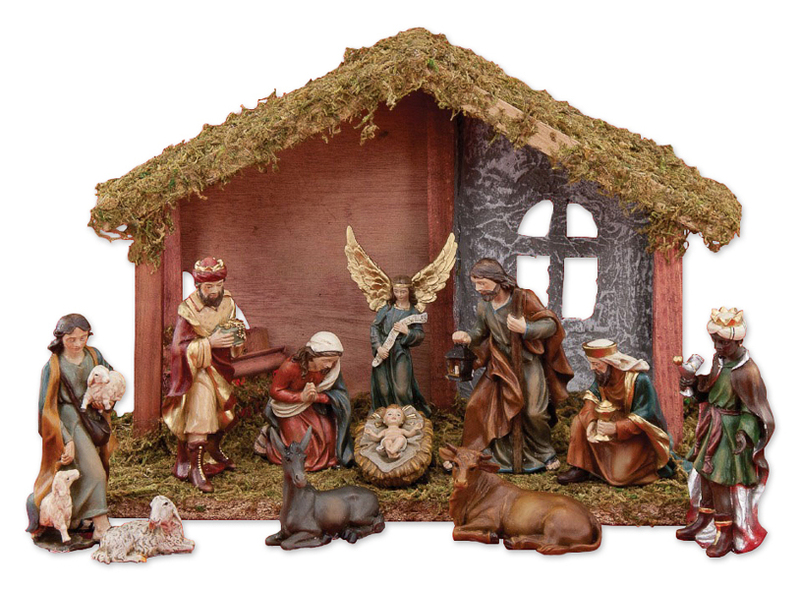 A classic Baroque-style nativity scene with wooden and moss stable. Adds the perfect backdrop to that Holy Night. Traditional figures can be displayed around the cradle of Jesus to joyfully recall the true reason for the season. Welcome the baby Jesus into the world as He fills it with peace, hope, and love this Christmas. Set includes: moss-topped stable, Holy Family, Three Kings, a Christmas angel, shepherd boy, and animals. Made of resin the tallest figure stands 5.5 inches high. The Stable measures 11 x 18 inches.